Competition prep is in full swing! I actually love the regimented structure of prep. Call me crazy, but I like pushing everything to the limits and then I LOVE to push a little harder! I also like seeing the daily changes in my body! This will be my third competition and I must say this prep has been easier in a way. First of all with the diet Todd has me on, I haven’t been super hungry and … knock on wood… cravings have not been there… AT ALL! I love the fact that Todd has given me the tools I need to get where I want to be, without all the guesswork. He says jump and I jump, fully trusting his plan! With past coaches, I sometimes felt I was left to my own devices, which, being new to the sport, I had just enough information to be dangerous… And it was more of a trial and error. There was a huge learning curve, and well, there just isn’t time in prep for error! With Todd, it is all spelled out for me and I like that I don’t have to think about it. So much less stress for me! It is so important to be able to TRUST your trainer. Talking with Todd the other morning he said, “Time to take it to the next level!” That got me so excited, I can’t even tell you! He added an additional evening walk to my plan and I now eat 7 meals a day instead of 5! Throughout the day Todd has me taking my temperature to make sure that my body is in a thermic state. Each time I see my temperature in the correct range it validates what I see in the mirror. My body is truly in fat burn mode right now and I LOVE it! I can see and feel my muscles popping more and more each day! This is the point where the “magic” really starts to happen! Words are powerful! Whether it be a good story (big smile) or just an unexpected compliment. Words can change everything in an instant. Wow! He put me in my place.. My attitude changed instantly! I so appreciated his words! If we realized just how powerful our thoughts and our words really are we would never think or say a negative thought! In our house, “Can’t” walks on “Won’t” street! 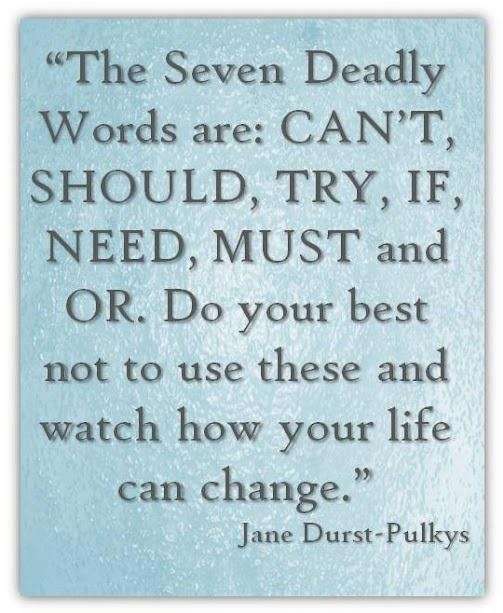 What will you do to get the deadly words out of your life? With this new year has come a new trainer…Todd! My brain has been on overdrive the last couple of weeks with the plethora of information Todd has been giving me. This guy is good.. NO! This guy is FANTASTIC! He knows what he is talking about! I have a new meal plan. I have a new workout schedule, which I must say is a little different than what I have been doing. The workouts are fast, efficient and yes, they are brutal! I may or may not have said some explicits under my breath the other day during my leg workout. I have needed Todd and he came into my world at the right moment! I was lacking in motivation, I had lots of fluff and spillover from the holidays and I was just feeling a little defeated. But Todd has completely given me that drive and motivation back! He helped me find my Mojo! *He checks up on me daily. I don’t have to go to him, he comes to me. My questions are always answered. *His workouts ROCK! 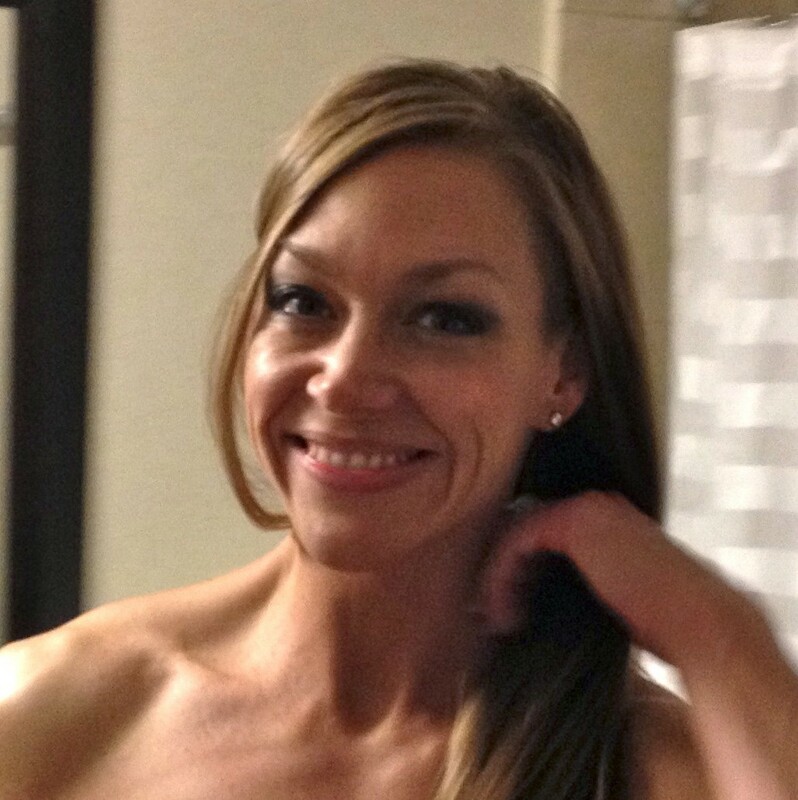 *His meal plan is simple, fast, and easy *He is in my corner *He calls me IFBB.. which keeps me motivated! I have had online coaching before, but Todd has far surpassed what I have had in the past. He actually explains why he does things the way he does. I have daily contact with him and he gives tips/pointers on how to execute the exercises I will be doing that day. I feel so lucky to have him as my trainer! I am confident he will help me achieve my goal to become IFBB Pro!